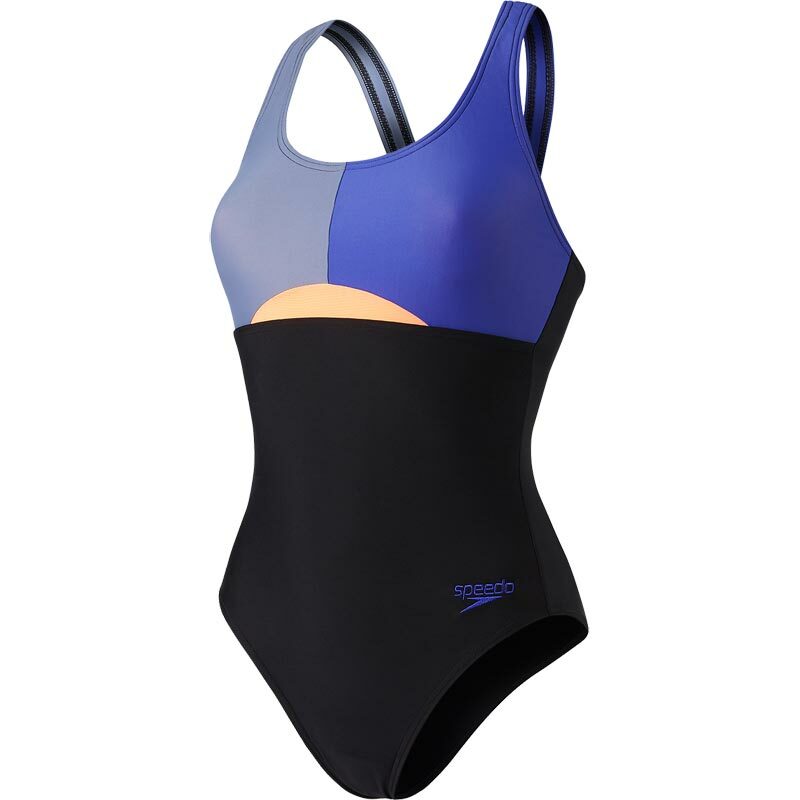 The stylish Speedo ® HydrActive Swimsuit in vita grey with contrasting orange mesh detailing. Made from Endurance10 fabric, which fits like new for longer. Light bust support - a comfortable elastic underband keeps your bust in place. High leg, open back design - for maximum flexibility during your workout. Breathable - mesh panel for ventilation and drainage.